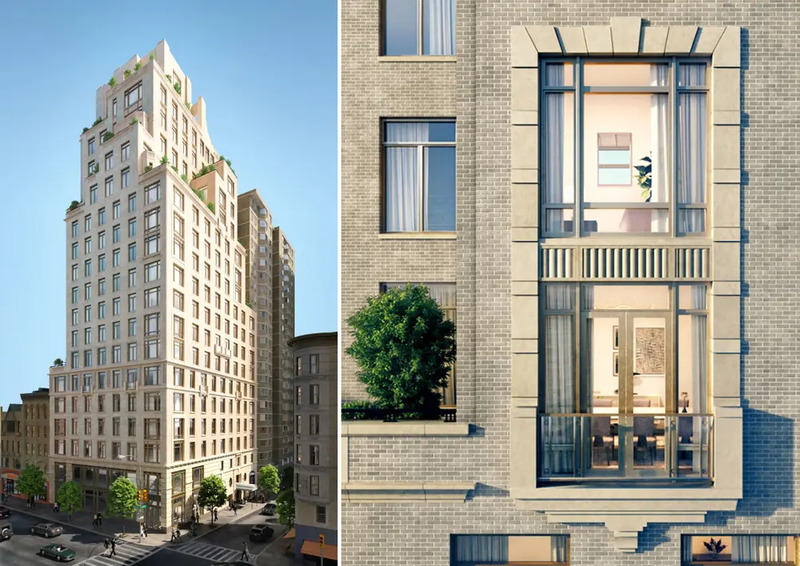 Over the past 18 months, we've watched the Robert A.M. Stern Architects-designed Two Fifty West 81st take shape on a picturesque Upper West Side block on Broadway between Central and Riverside Parks. 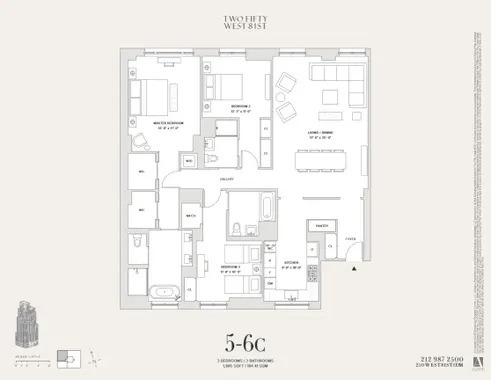 As the new year begins, a recent visit shows that its development team of Alchemy Properties and The Carlyle Group is well on track to meet an expected occupancy goal of first quarter of 2019. The building's regal facade of limestone and buff brick is a Stern signature, and its classic silhouette echoes pre-wars of decades past. Overall, Two Fifty West 81st is a handsome contextual addition to Manhattan's west side, appearing as if it has always been there. The elegant building is punctuated by decorative window openings, and the windows fill 31 two- to five-bedroom apartments with incredible natural light. Gracious foyers lead to Great Rooms with elevated ceiling heights and hand-laid herringbone oak floors. In a collaboration between Robert A.M. Stern Architects and Smallbone of Devizes, kitchens feature custom millwork cabinetry, marble countertops and backsplash, polished chrome fixtures, and state-of-the-art Gaggenau appliances. Luxurious marble master baths offer radiant heated floors, rain showers, and separate soaking tubs. An oval entry gallery with a soaring dome ceiling, imported marble fireplace, and marble flooring beautifully sets the tone for the apartments above. Throughout the building, health and wellness amenities include a fitness center, a multi-purpose sports court, and a golf simulator room. For the more musically inclined, there is a practice room and recording studio. A library lounge has a curated book selection and a charming terrace, and the building is topped with a Sky Terrace with an outdoor grill and impressive views. 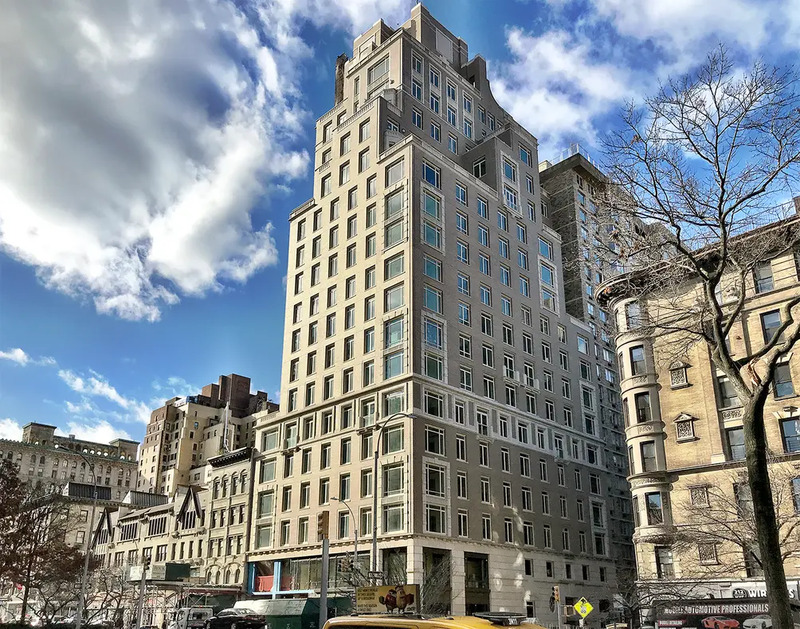 Between its esteemed credentials, beautiful apartments and amenities, and prime Upper West Side location, it is no surprise that apartments at Two Fifty West 81st Street entered contract quickly. 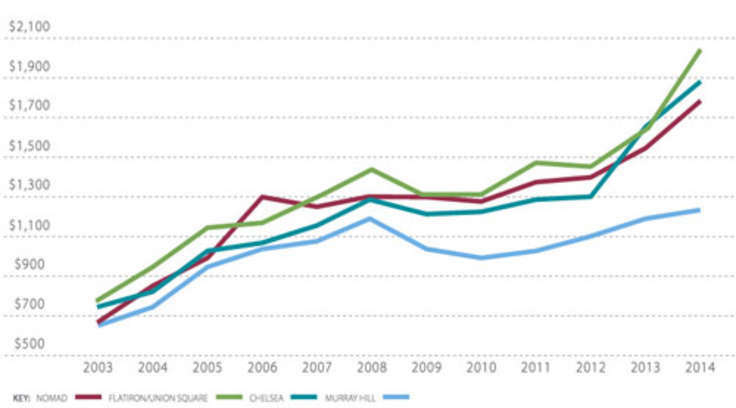 A two-bedroom remains on the market for $3.875 million, and a three-bedroom is listed for $5.15 million. According to CityRealty listings, the building’s average of $2,530 per square foot is well above the Riverside Drive/West End Avenue median condo price of $1,995 per square foot.